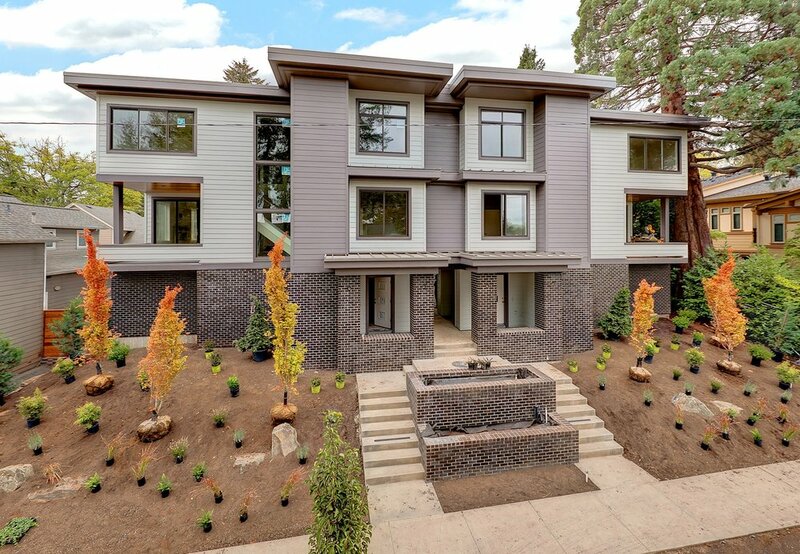 This 3-story, 6-unit townhouse courtyard development sits just a few blocks from downtown Lake Oswego, Oregon. It's clean lines and tiered design sites the building within the modern residential city center. 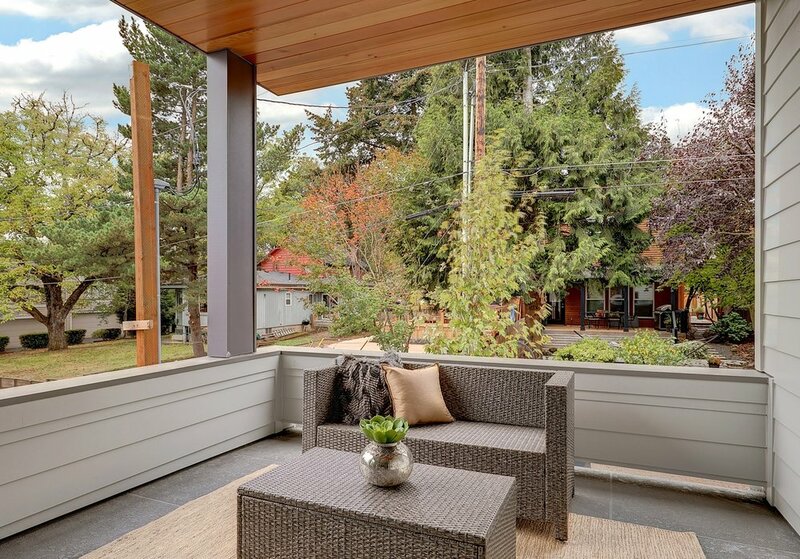 The steeply sloping, wooded site provides several unique challenges for the project, including the need to preserve several existing 100 foot tall Douglas Fir trees. Large windows along the street facade tie all three stories together while a strong base of brick cladding and green living walls anchor the building to the site and landscaping.